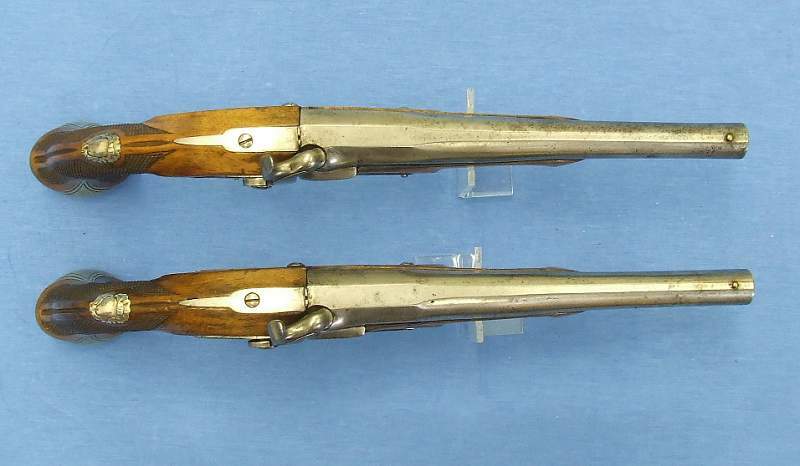 In appendix another specimen of “large dogfish”. 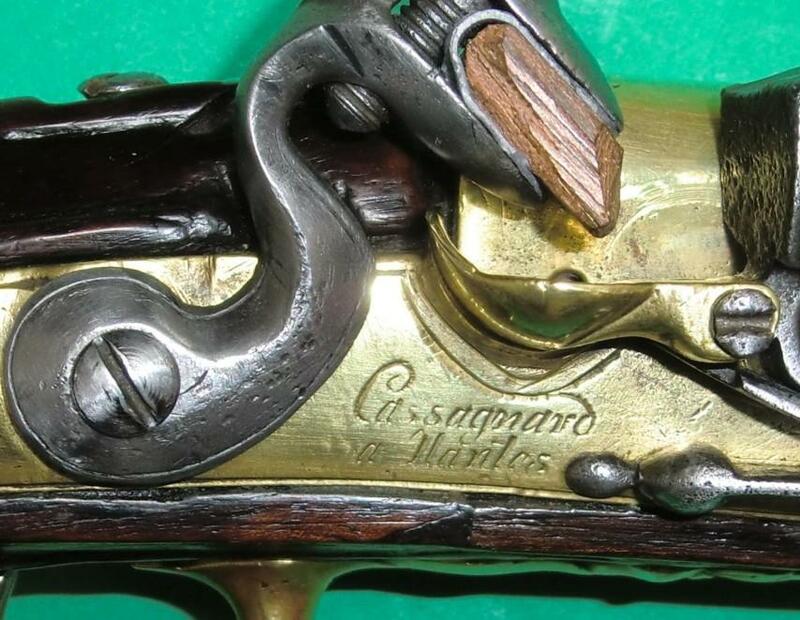 This specimen is signed Cassagnard (or cassaignard), arquebusier Nantais, large specialist in the weapons of navy; born in 1708 and died in 1786. 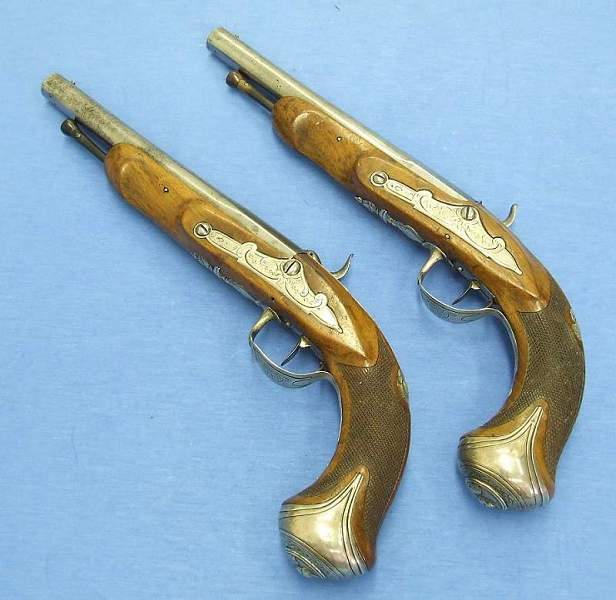 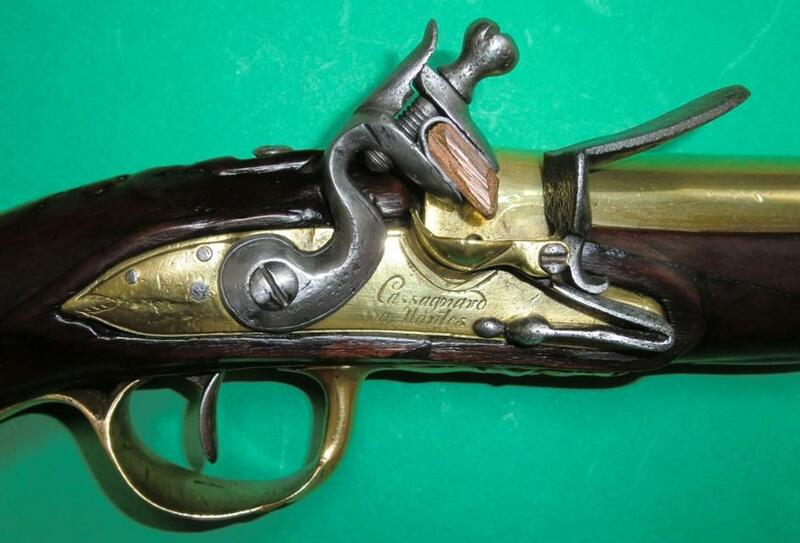 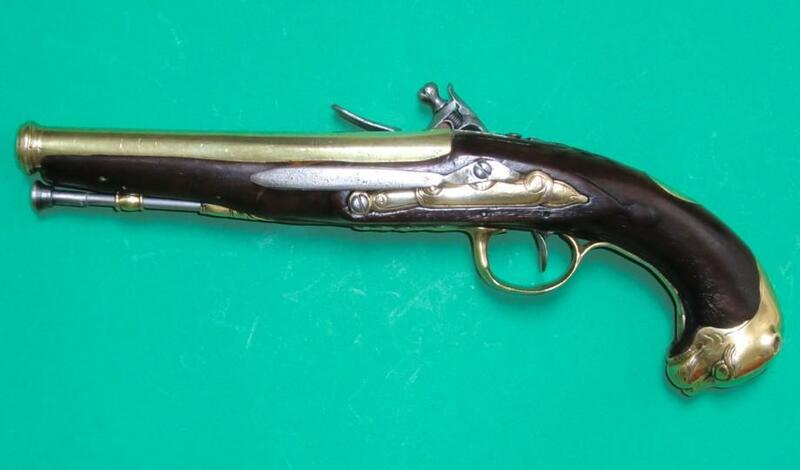 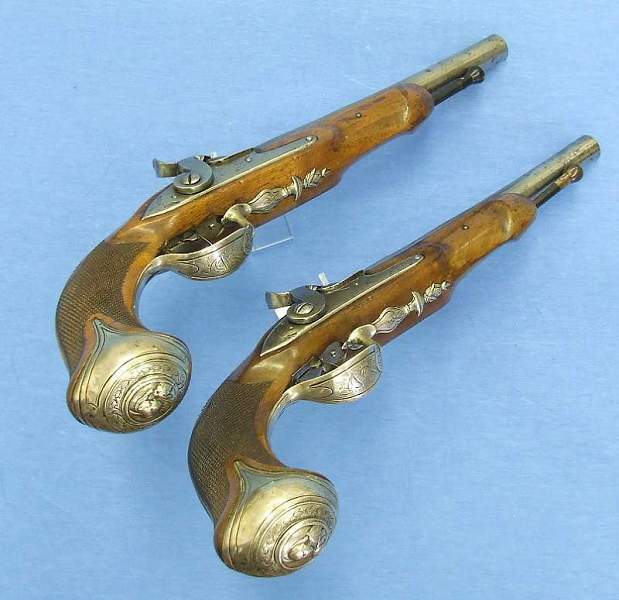 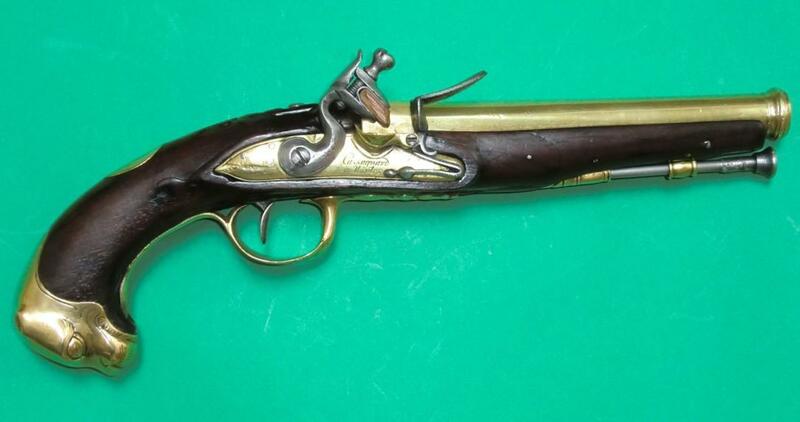 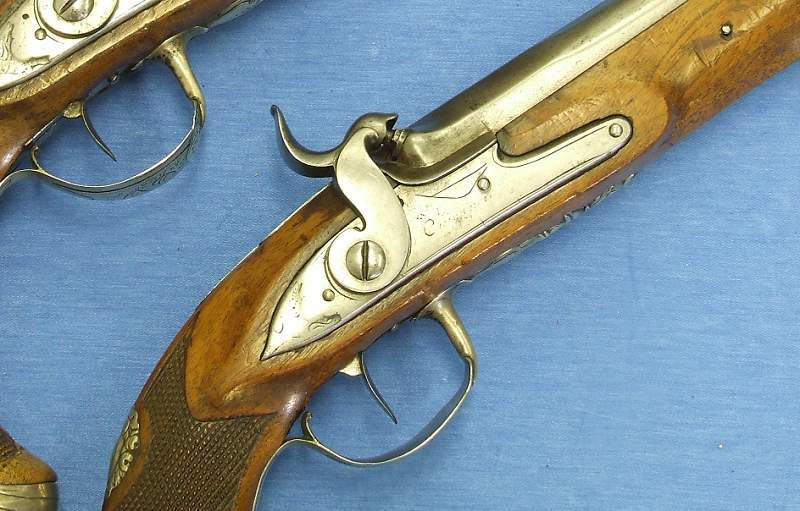 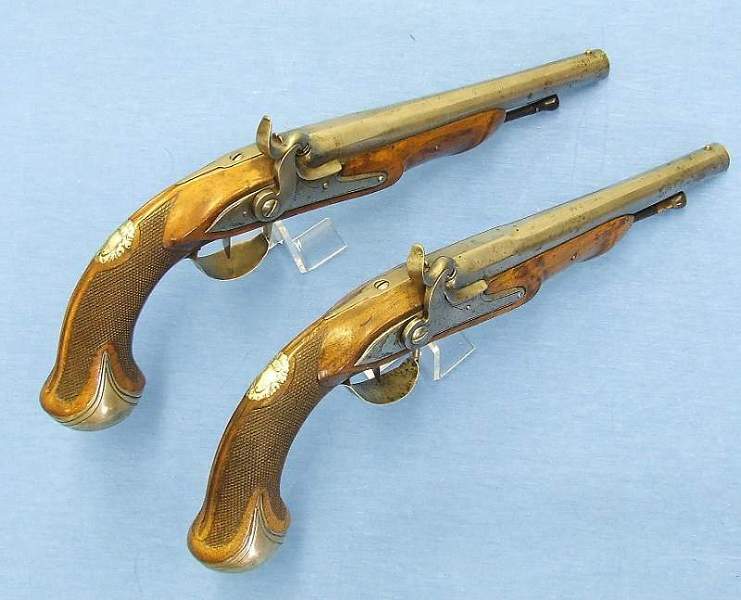 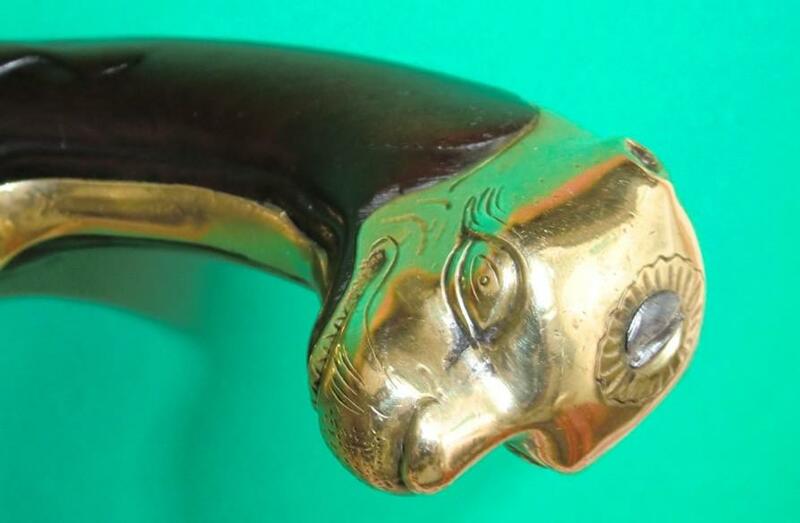 Here the pistol is equipped with a barrel and a lock out of bronze (running for the weapons of navy in order to reduce the problems of oxidation at the time of the service to the sea). 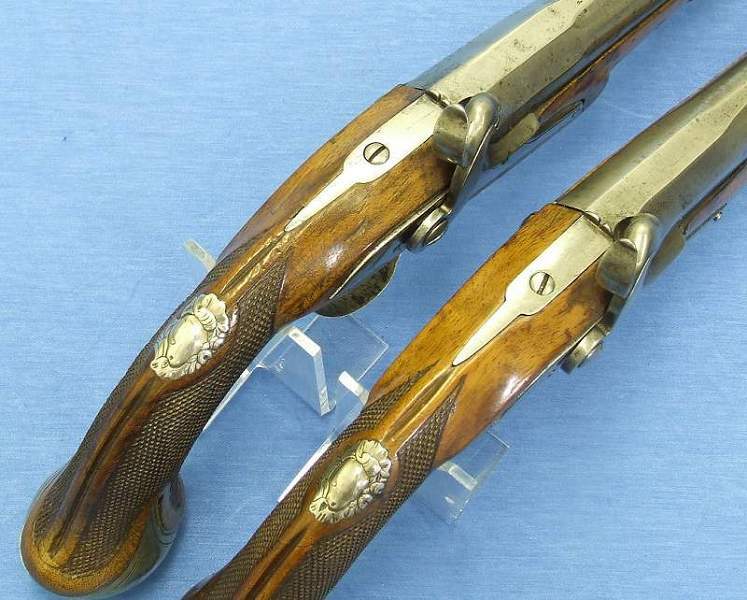 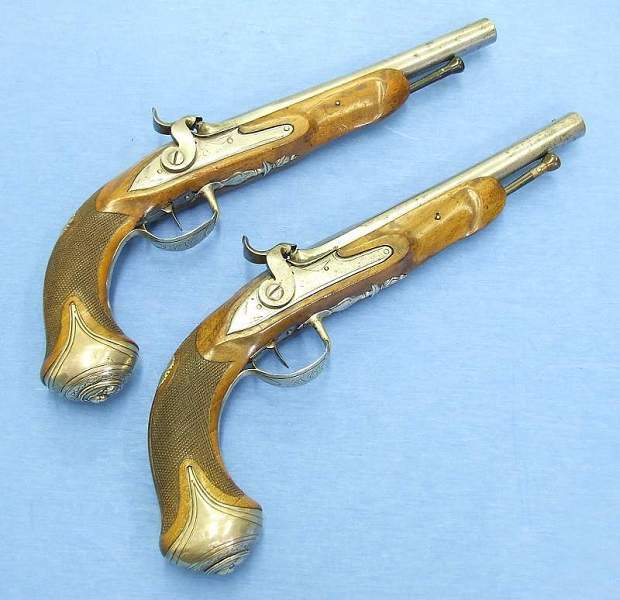 Documentation: see Gazette des armes N° 221 and 222 (articles of D Casanova).